On Tuesday, Nov. 8, school district voters will choose from four declared candidates -- incumbent Mark Dingmann, incumbent Debora Glenz, David Johnson, and incumbent Allen Schmidt -- for four four-year terms on the Paynesville Area School Board. Filing were: . 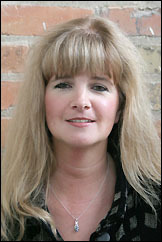 Incumbent Tami Stanger did not file for re-election. Polling hours in the west lobby of Paynesville Area Elementary School will be from 3 to 8 p.m. on Tuesday, Nov. 8. On Tuesday, Nov. 8, school district voters will choose from four declared candidates for four four-year terms on the Paynesville Area School Board. Filing were: incumbent Mark Dingmann, incumbent Debora Glenz, David Johnson, and incumbent Allen Schmidt. Incumbent Tami Stanger did not file for re-election. Polling hours in the west lobby of Paynesville Area Elementary School will be from 3 to 8 p.m. on Tuesday, Nov. 8. This is the first part in three series of questions posed to the four school board candidates. 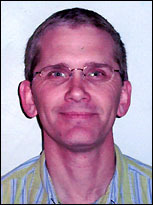 Mark Dingmann, 42, has served on the school board for four years, being elected in 2001. He also serves on four board committees: facility and equipment, teacher negotiations, support staff negotiations, and budget. Dingmann is the radiology manager at the Paynesville Area Health Care System and has lived in Paynesville since 1992 with his wife Kathy. They have three children: Zachary (sixth grade); Nicholas (third grade); and Katelyn (first grade). Why are you interested in serving on the school board? To make sure that all children in the Paynesville School District get the best education as possible. What leadership traits would you bring to the school board? I have worked in a management position for the past 19 years. I have experience with budgets, policies and procedures, job performances, and reviews. These leadership skills have helped out tremendously while serving on the school board for the past four years. How should the school district maintain a balanced budget? Cost containment! Only spend what you receive. We have been adjusting staff for the past five years in order to balance the budget. Eighty-five percent of the school district's expenditure budget is personnel. I would hope that state and federal funding will start meeting the needs of our district. Debora Glenz, 46, has served on the board since 1994 and is running for a fourth term. She is currently the vice chair of the board and serves on eight committees, including School for Equity in Education, administrative negotiations, budget, and legislative liasion. Glenz has run a daycare in her home in Paynesville for 18 years. She and her husband Mike have four children: Michelle, Julie, and Ryan are all PAHS graduates and Sean is a senior this year. I am interested in serving again because I believe there are a lot of great things in the works for our district, and I would love to be a part of them. Also, to add my years of experience to the new voices on board. Besides my years of experience on the school board, I have also served as a Minnesota School Board Association delegate assembly member for our area for several years and also as Paynesville's SEE delegate. I was the youth leader at our church for 17 years. I have also served as area coordinator for numerous organizations. We need to keep a tight rein on spending, actively seek any grant opportunities we can, enrich and fine tune our curriculum to encourage school growth, and continue to support and lobby for better funding from the federal and state government. 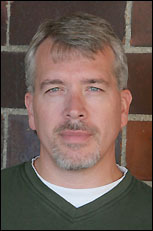 David Johnson, 39, is a 1984 PHS graduate who is running for the school board for the first time. He graduated from Gustavus Adolphus College in 1988, majoring in business and history, and from Hamline University School of Law in 1998. An attorney in Paynesville since 1999, Johnson and his wife Dee have three children: Ella (7), a first grader, and twins Eric and Luke (5). I grew up in Paynesville, graduated from Paynesville High School, and have a lot of pride in the school and the community. I now have children of my own in the school system and want to see the school provide the most opportunities and the best education possible for all kids. I am interested in learning more about the dynamics of running a school and then using my knowledge and background to contribute where I can. I have the ability to gather information and see all sides to an issue before deciding where my support lies. I know from my experience as an attorney that the first impression of an issue is not often accurate and that it is important to become fully apprised of every situation before making any decisions of support. I also have an understanding that the school district operates under definite constraints and believe that I have the ability to make thoughtful decisions within these constraints. It is important to stay on top of all budget issues and have the foresight to recognize budget problems as soon as possible. The sooner budget issues are recognized, the more time the board will have to plan and make the best decisions possible in order to maintain a balance. 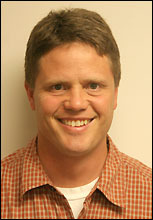 Allen Schmidt, 44, is completing his first four-year term on the school board, having been elected in 2001. He has served as the board chairman for the past two years and currently serves on four committees, including facility and equipment, teacher negotiations, and transportation. A 1979 PHS graduate, Schmidt works as a live haul supervisor for Jennie-O Turkey Store in Melrose. He and his wife Lori, a paraprofessional at PAES, have four daughters: Sarah, a 2005 grad; Rachel (junior); Nicole (ninth grade); and Megan (sixth grade). I've enjoyed the last four years that I've served and can't believe they've gone by so quickly. I serve on the board because I want all of our kids to have the best educational experience possible. I believe everyone should give something back to the community that they live in. There are countless ways to do that in the Paynesville area and many people filing those needs every day. This is just my way of serving the community. I'm not going to toot my own horn. Let me just say that one needs humility, courage, and a servant's heart to serve in a position such as this. The reward comes in knowing that we are trying to have a positive impact on the students. Maintaining a balanced budget should always be a top priority of the school board. Fortunately, the legislature has seen fit to increase the per pupil formula. The district always needs to look at ways to stay as efficient and cost effective as we can. Nobody likes to look at a school as a business because we're trying to do what's best for our kids' education, but we still need to be fiscally responsible.